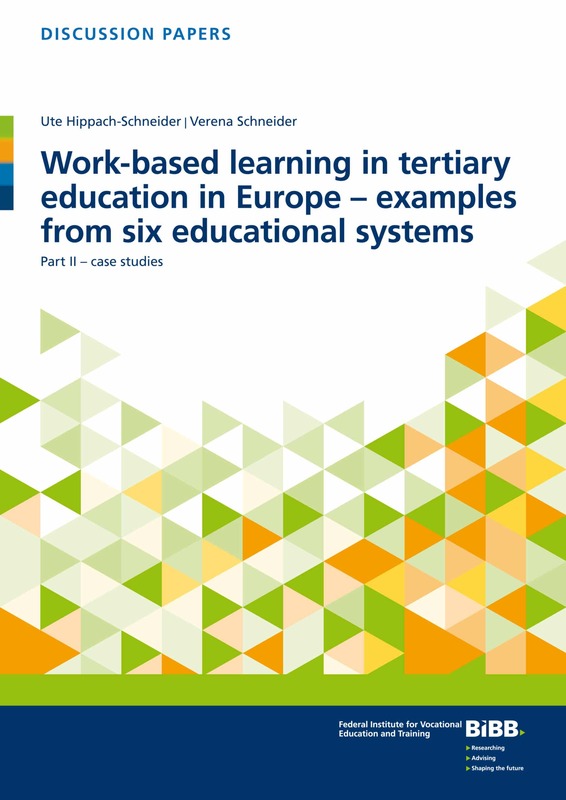 The implementation of work-based learning elements in tertiary education programmes can be seen as a trend of recent years. Different models and approaches have been developed. In the context of a BIBB research project, examples from England, France, Ireland, Norway, Austria and Poland were investigated, analysed and thus the great variety of practice-oriented and practice-integrated programmes revealed. Interviews with representatives from research, education policy administration as well as with students, companies and educational institutions provide an insight into the concrete experience and appraisal of selected educational programmes. The overall goal of the project and this publication was to contribute to the greater visibility of vocational/professional education at tertiary level and to facilitate a more critical debate about the issue of increasing academisation.